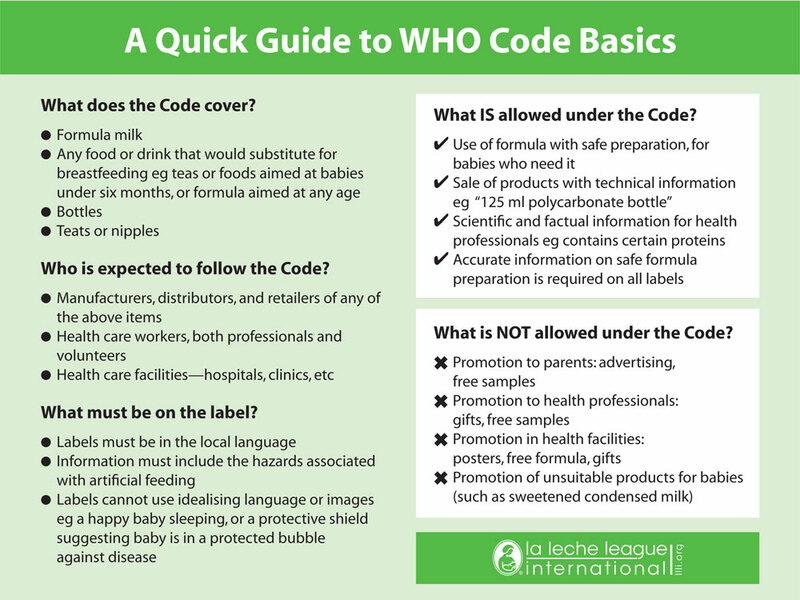 The International Code of Marketing of Breastmilk Substitutes from the World Health Organization (the Code) covers marketing and promotion of products meant to substitute for breastfeeding. It does not ban their sale or use; it simply restricts their promotion. LLLI fully supports the International Code of Marketing of Breastmilk Substitutes and subsequent World Health Assembly resolutions. We review our partnerships and relationships regularly to ensure that we only have cooperative relationships with those who meet their obligations under the International Code. 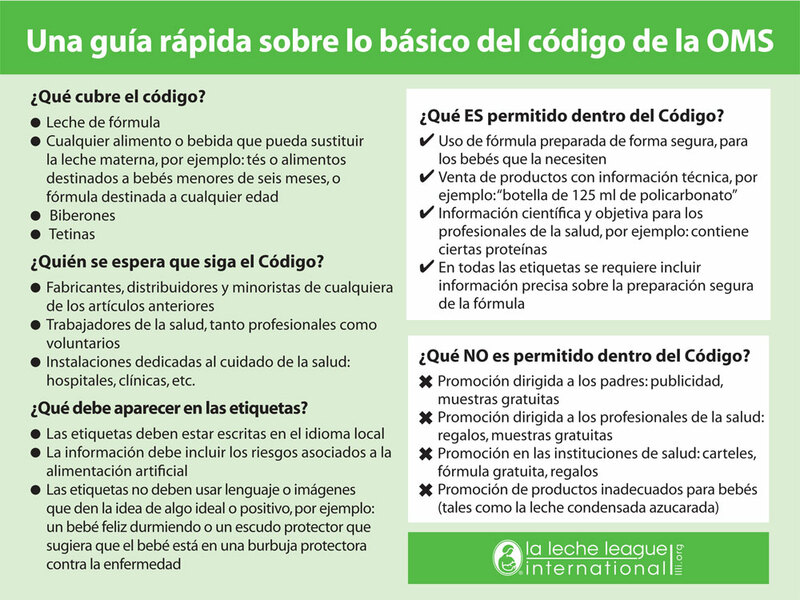 The Code is needed to support infant health and prevent unscrupulous practices in the sale of breast milk substitutes. What is the Code in law? 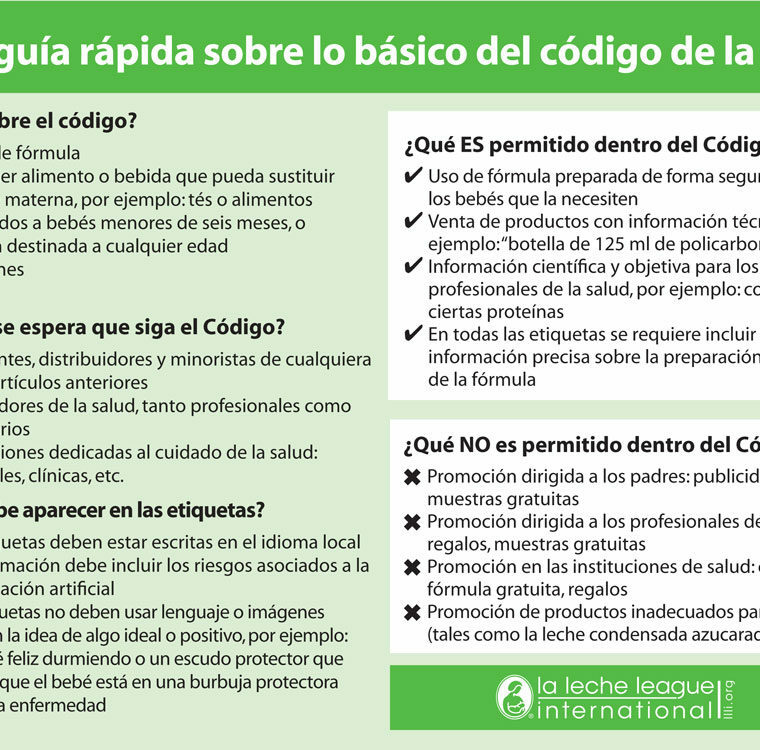 The Code is a World Health Assembly Resolution; a recommendation that nations pass legislation to uphold the resolution. However there is no legal penalty if a nation does not implement a resolution that they adopted. 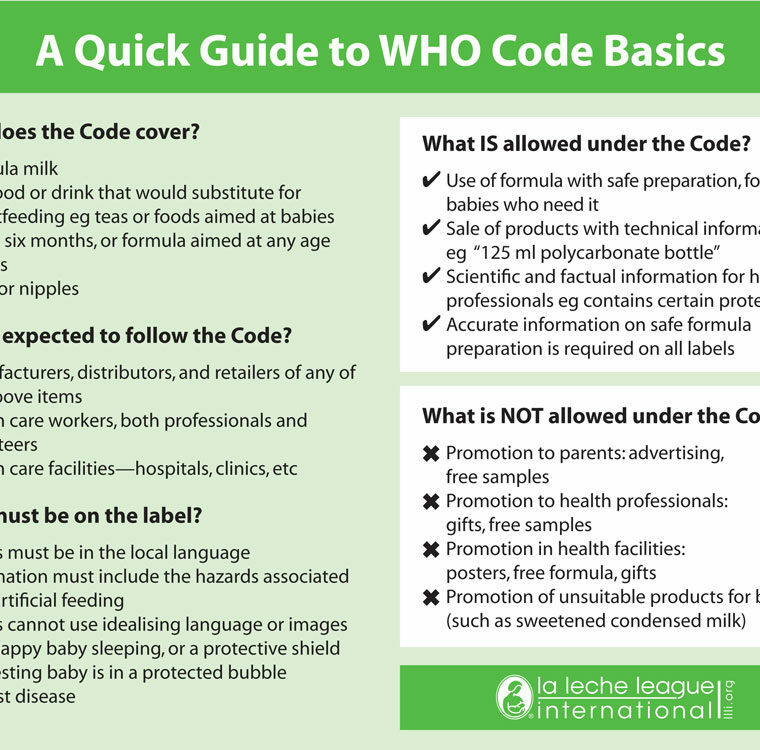 An updated version of the Code has been issued which discusses the rules governing the marketing of breast milk substitutes. Who is expected to follow the Code? What must be on the label? 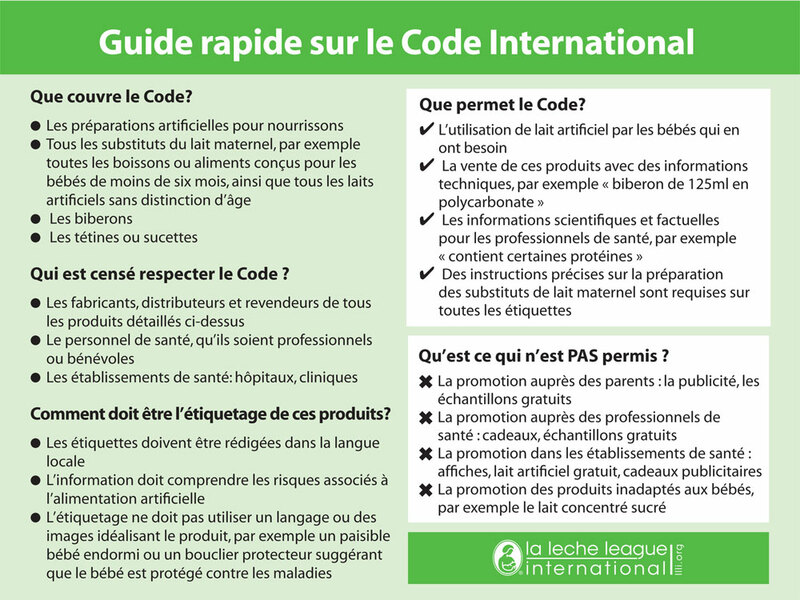 What IS allowed under the Code? 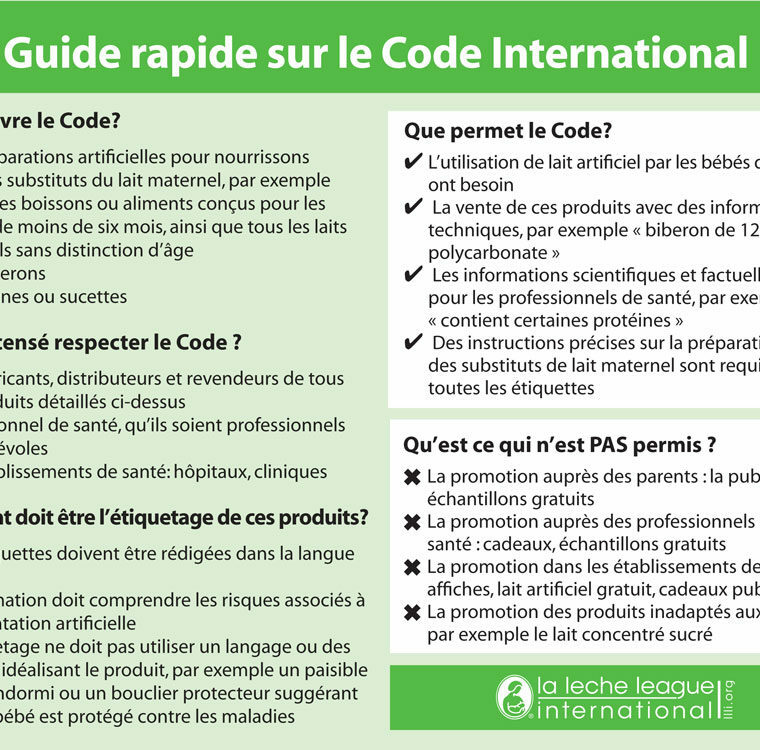 Please send in all your questions on understanding the Code to info@llli.org. The information in this post was compiled by Helen Gray and originally published in Leader Today, January 12, 2017. Useful background on the Code can be found on the IBFAN website: http://ibfan.org/code-monitoring. 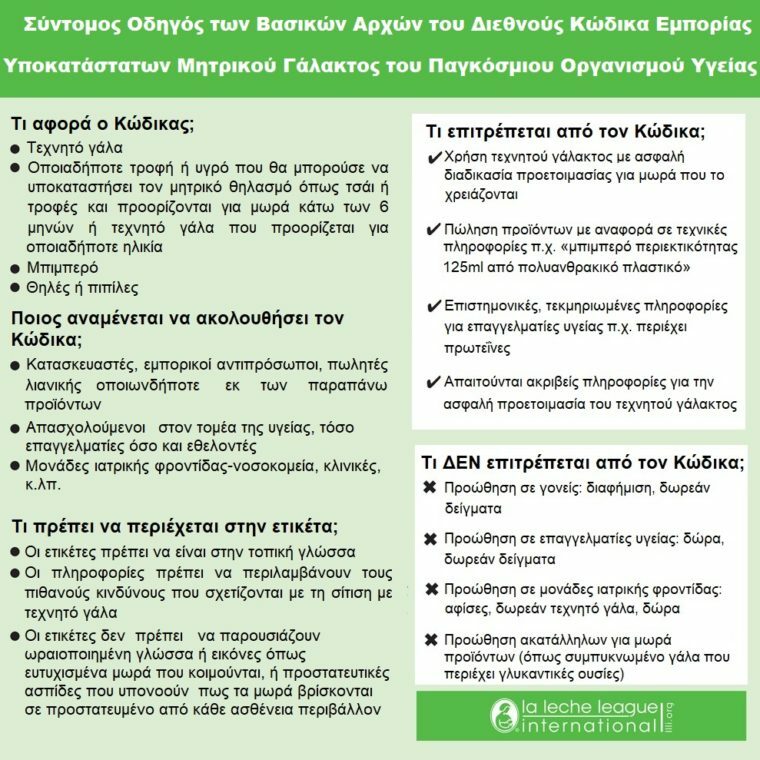 Baby Milk Action has a selection of publications and educational materials http://www.babymilkaction.org/shop#!/~/product/id=13951&prid=0&ctid=4&scid=2&tp=pl_. Baby Milk Marketing. Who needs WHO?